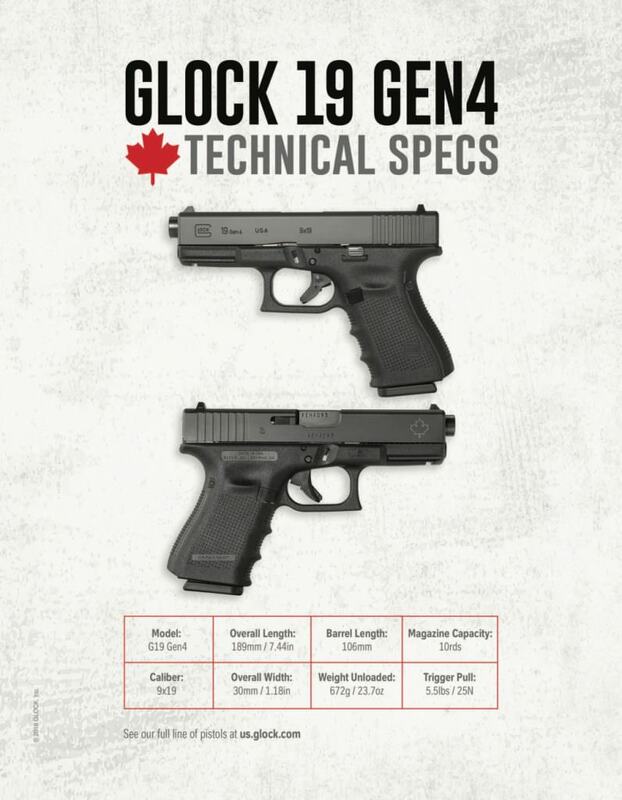 TheGunBlog.ca — Here are the latest photos and technical specifications of the Glock 19 Canadian version. The images, provided by the company, show the pistol’s extended barrel and laser-engraved maple leaf. 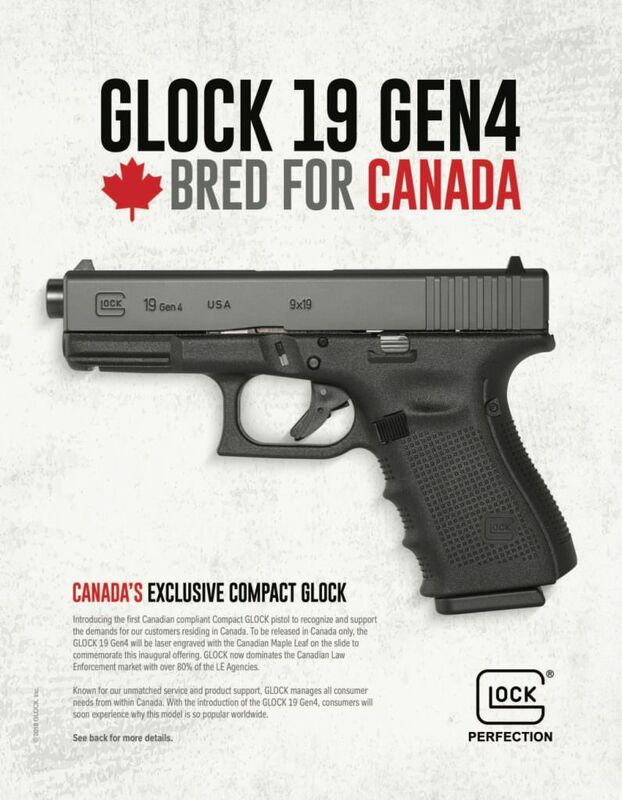 The Canadian edition of the world’s most popular pistol is expected in stores this month.